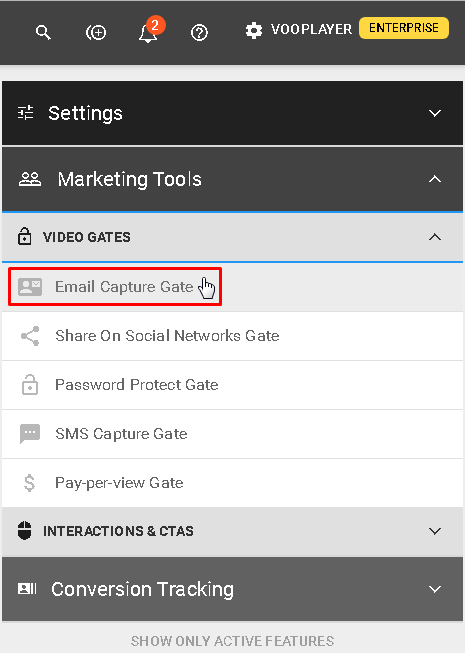 The Email Capture Gate feature allows you to grab email addresses of your viewers. 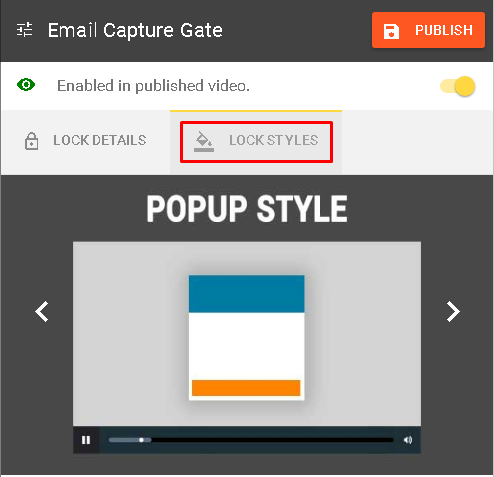 It will lock the video at desired point and let your viewers know they need to type their email address to continue to watch the video. This feature is amazing because you can connect it to your Email Auto Responder and you will be able to collect email addresses with Email Marketing Platforms. To find out more about which integrations are available with vooPlayer check the category Integrations. 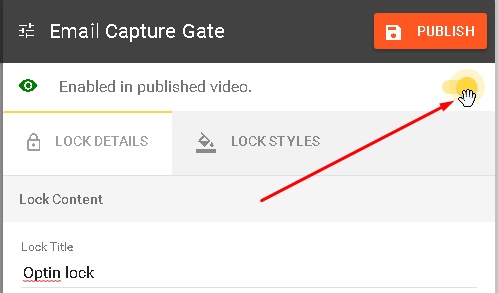 It is located in Marketing Tools under VIDEO GATES. Clicking on the feature will open further settings. To activate this feature just switch the toggle at the top to the right position. You can adjust appearance for this lock on the LOCK STYLES tab. 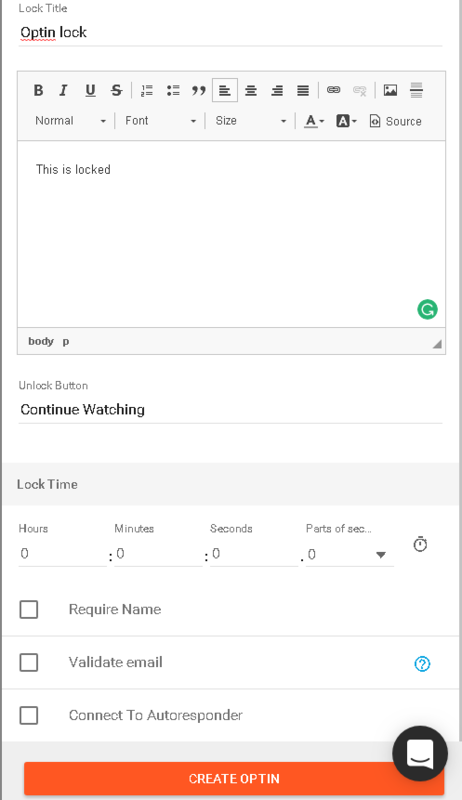 On the LOCK DETAILS tab you will be able to edit Lock Title and displaying text and to set the exact moment of appearing. Check the first box Require Name if you want to collect viewers name along side their email address. 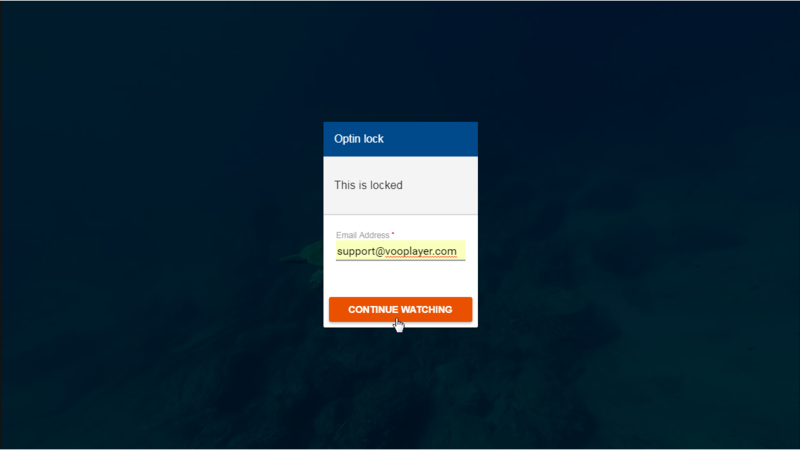 The Validate email check box will turn on email validation, so a viewer will not be able to enter a fake email and continue to watch your video. 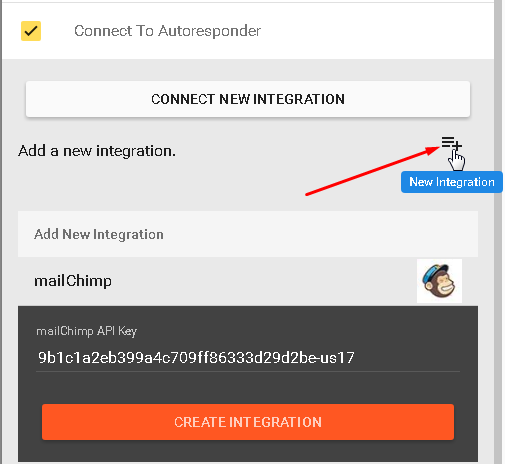 The third check box is for Autoresponder connection, checking it will open advanced settings. 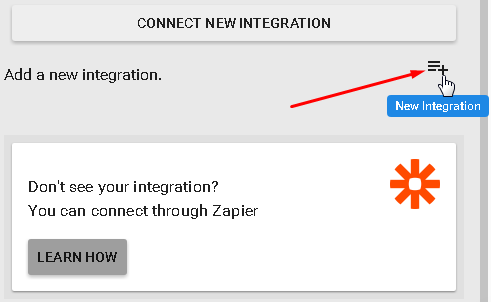 You can set your integration directly here by adding a new one, or you can choose from previously added integrations by clicking on the drop list. When you add your integration, you'll also have to add the list where you are collecting data. 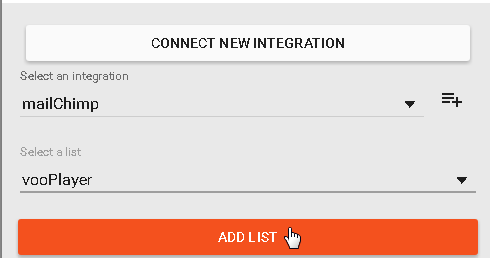 Do not forget to click on ADD LIST button otherwise the integration will not work. All you have to do now is click CREATE OPTIN and save your video. In this case, all collected email addresses will be added to my list in my mailChimp account.